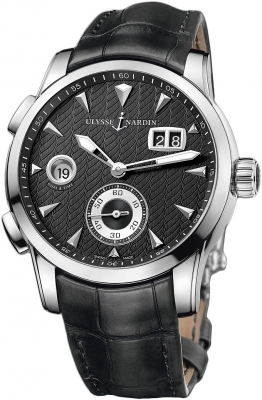 Black polished onyx dial with a tiered stepped-down sub-dial. 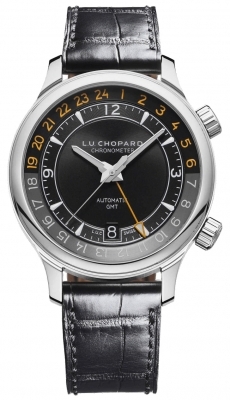 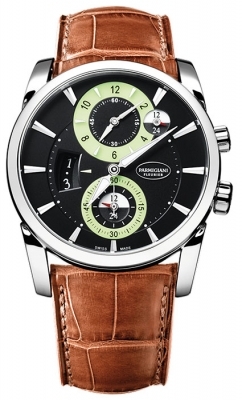 Off-centered hour & minutes sub-dial at top of the dial. 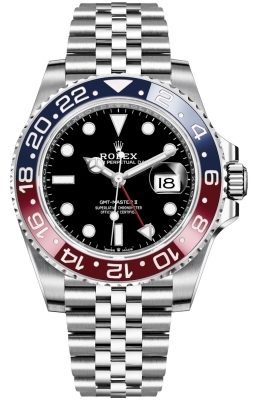 GMT/2nd Timezone: at the center of the sub-dial is the GMT indicator, with blue printed 24 hour markings. Date: The date is indicated by the red tipped hand, with the odd numbers in Arabic Numerals & the even days as dots. 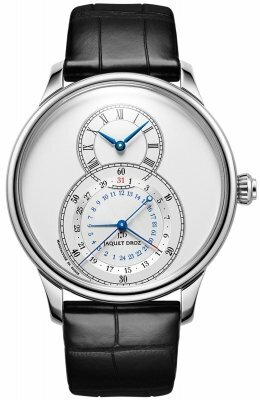 Seconds: the seconds hand is the outer-most indication on this sub-dial, with Arabic Numeral 10 seconds incremental markings & an index seconds track. 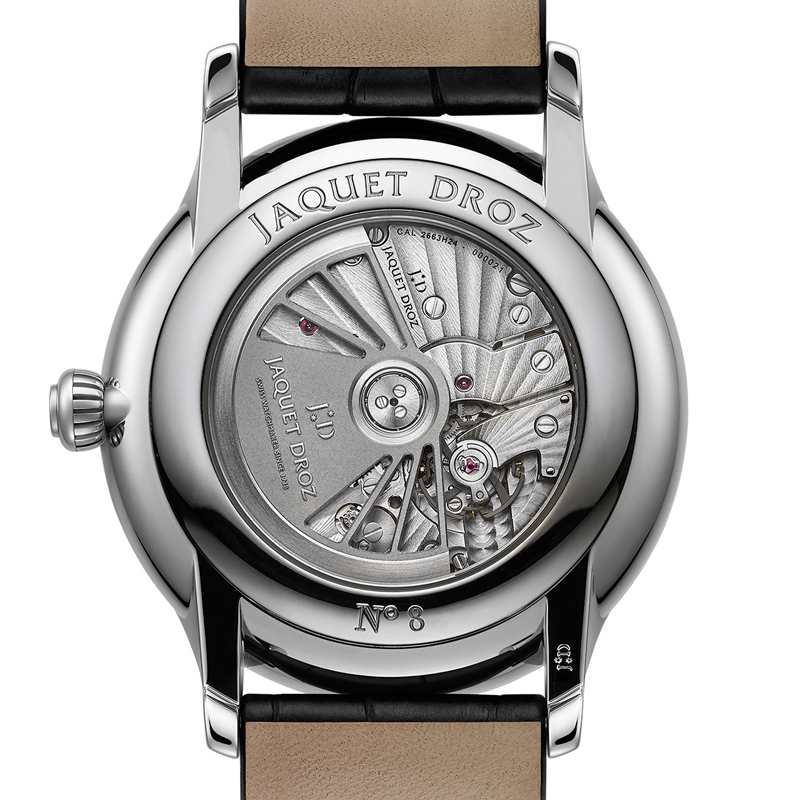 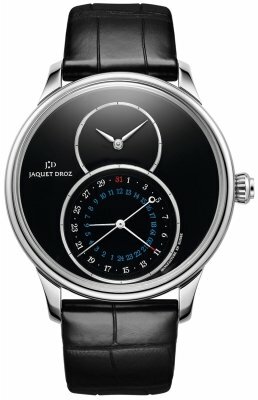 Jaquet Droz Caliber 2663H24 with silicon balance spring and pallet horns, beats at 28,800 vph, contains 42 Jewels & has an approximate power reserve of 65 hours.